Marigolds is slightly twangy (showing Beth’s Texas roots), slightly folky (showcasing Beth’s gentle touch and her storytelling) and slightly rockin’ (celebrating the beat for goodness sake). 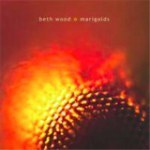 Marigolds celebrates the spirit of collaboration as Beth is joined by many of her talented friends including River Guerguerian, Eliot Wadopian, Heather Morgan, Josh Lamkin, Greg Horne, Shawn Mullins, Brandon Bush, John Felty, and more! Produced by Beth and the great Chris Rosser. But who knows what the world will make of us all? Amen, I’m singing amen, allelujah, amen. Amen, we’re singing amen, allelujah, amen. To the church of melody? Aren’t we all losers in love? When you gonna learn to trust this old fool? Won’t you hear what I have to say? Won’t you let your fists uncurl? But you can hold on to your grace completely.